Partnership brings Altium Designer Software, technical support and training to Canada TORONTO, Sept. 30, 2013 - CNW CAD MicroSolutions, an engineering and design solution provider, has partnered with Altium, an electronics design software company, to offer additional options for the design and manufacturing industry expanding into the electronic design automation (EDA) market. Altium's product line and services fit well as an addition to CAD MicroSolutions existing line of design tools including SolidWorks, DriveWorks, Boxx & Dell hardware and others. Altium products are built to foster design innovation while accelerating time to market and intelligently span the domains of PCB implementation, FPGA design, embedded software development and design data management. The solutions include ECAD/MCAD 3D integration; instant FPGA prototyping, flexible design reuse and robust ECO handling - competitive requirements in today's systems based design for products with integrated electronics. 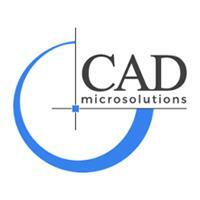 "CAD MicroSolutions is excited to add Altium to the suite of technologies that help our clients increase their competitiveness and ability to innovate" said Darren Gornall, President of CAD MicroSolutions. "Many of our 2,000+ clients have been asking us to help them streamline their mechanical and electronic design with full bidirectional integration. We see our ability to train and support these clients as an opportunity to increase the value we deliver."